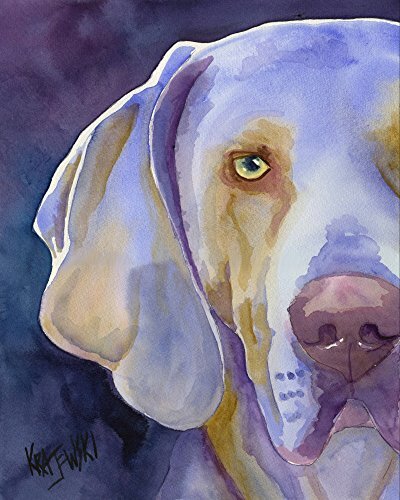 About the Print: This Weimaraner Dog open edition art print is from an original painting by Ron Krajewski. Art print is available in 8×10 or 11×14 inches and is printed on museum quality heavy weight textured fine art paper. Quality fine art prints on quality heavy-weight 100% cotton mould-made paper, designed for fine art photography and printmaking. Print is hand signed by the artist on the front border. About the Artist: Ron Krajewski is a Full-Time Professional Artist living in Gettysburg, Pa. Ron’s artwork is highly sought after and hangs in galleries and private collections throughout the world.